Multi-view, multi-technology screening system for trucks and cargo. 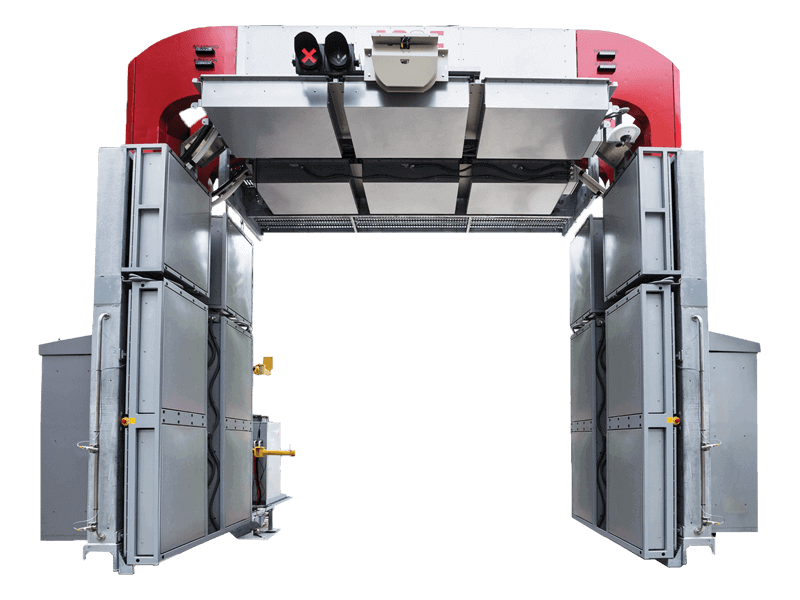 The AS&E® Z Portal® for Trucks and Cargo is a high-throughput, drive-through inspection system for large trucks, buses and cargo containers. It utilizes multiple X-ray technologies to provide up to six images of the truck or cargo and can scan up to 250 trucks per hour, making it well suited for high-traffic locations. For enhanced metallic detection, the Sentry® Portal can be deployed along with the multi-view Z Portal® system. The AS&E® Z Portal® system’s unique combination of X-ray technologies provides multiple views of trucks and cargo, helping operators detect more threats and contraband.